Grasping these easy-to-understand principles from a biblical foundation will increase the likelihood of healing when you pray. Let the power of God work through you, your prayer group, or your church for the healing breakthrough promised to every believer. 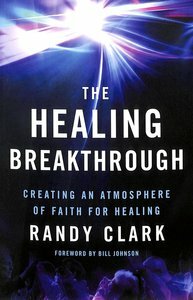 About "The Healing Breakthrough: Creating An Atmosphere of Faith For Healing"
Frank has been engaged in teaching the Bible and theological subjects since the mid 1980s. His venues have been churches, home groups and Bible studies, and online forums. He is the author of Presence Powered Living: Building a Life of Intimacy and Partnership with God, published by Vineyard International Publishing.He and his wife of 16 years, Denise, attend Joy Vineyard Fellowship in Virginia Beach,Virginia.